As the Search or Acquisition Marketer at a digital agency, many obstacles can stand in the way of getting your clients more conversions. Maybe your copy isn’t quite capturing the offering’s unique value? Maybe you’re seeing diminishing returns optimizing in AdWords? Or maybe it’s your client who is standing in the way of their own success. More specifically, it could be their website sabotaging paid advertising efforts. 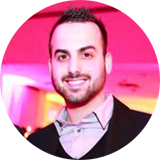 Stefano Apostolakos of Montreal-based Digital Agency Webistry experienced this first hand when consulting for a local dental clinic, Centre Dentaire Les Cours. His client, Co-Owner Alex Aoun, had just invested a ton of money into their new website, and he was amped to start sending paid traffic to it so they could book more appointments via email and phone. 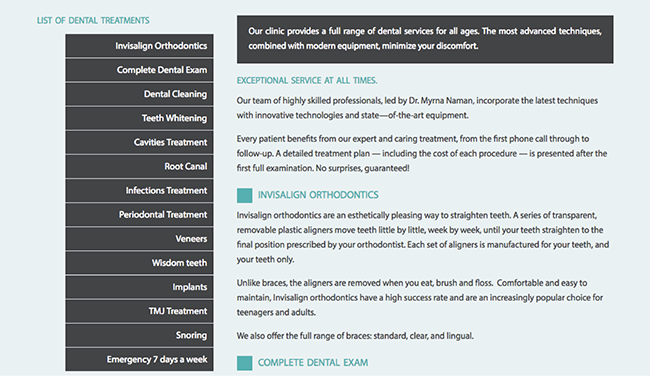 We were running paid ads for multiple dental services all leading to the same generic page within [the client’s] site with poor performance: [we saw] conversion rates under 1% combined for forms and phone calls. Based on industry averages for pages in the health vertical, this was pretty low (the median conversion rate for landing pages in this industry is 2.8%) — and Stefano knew the agency could bring in better returns if they focused on the post-click experience. Psst. See what conversion rates typically look like for landing pages in the health industry (and several other industries) in the Unbounce Conversion Benchmark report. Thus began Stefano’s journey toward convincing Alex to bypass the fancy new website altogether and instead send their PPC traffic to dedicated landing pages for each campaign. Here’s exactly how Webistry did it (and how your agency can too). The site was beautiful (which is sometimes half the battle), but paid traffic from ads to the generic services page just wasn’t converting. Stefano suspected that it was because prospects who were clicking on specific search terms were getting confused after being sent to a generic, catch-all page. He’d just dropped a ton of cash on a new website, why would he need to invest even more money in something new? Stefano explained that if prospects click on an ad for teeth whitening but land on a generic services page with wisdom teeth extraction listed at the top, this causes cognitive dissonance — and this confusion makes prospects bounce. People who search for and then click on an ad with “teeth whitening” in the headline expect to land on a page with “teeth whitening” in the headline. Second, Stefano explained the importance of attention ratio. If prospects click on an ad for teeth whitening but land on a page with a ton of external links, they can easily lose sight of the action they were trying to complete — booking an appointment, for example. If the client continued to send traffic to the generic website, there’s a chance prospects could get distracted with the Facebook icon in the sidebar, click through and see a competitor’s display ad in their feed (you can kiss that lead goodbye!). Landing pages, on the other hand, narrow a visitor’s focus and get more people to follow through with the intended call to action. After sending traffic to landing pages we created from Unbounce templates, we immediately saw a lift in conversions from 0.8% [on the client’s previous site] to 1.6%. This gave the client the confidence to let Stefano double down on their PPC ad to landing page strategy. 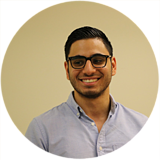 Once Stefano had buy-in from his client, he set out to create hyper-targeted landing pages for every single service offered by his dentistry client — from Invisalign to emergency services to root canals. Translation: “Do your teeth hurt? Wait no longer! No matter what your emergency is, we can help you out right in downtown Montreal.” Click for full-length landing page. Educate clients about their services: For example, their whitening landing page compares the four different whitening procedures in depth: the prices, duration of each treatment and even which is most popular. This is key information some prospects will need before booking a procedure. Build trust: Stefano has found that showing the team (the dentists, the specialists, the hygienists and even the receptionists) humanizes the services offered by the dental clinic and helps to build credibility. Now that we’ve built custom, unique pages per campaign (per service type), conversion rates are in the 5%+ range (combined forms and phone calls). 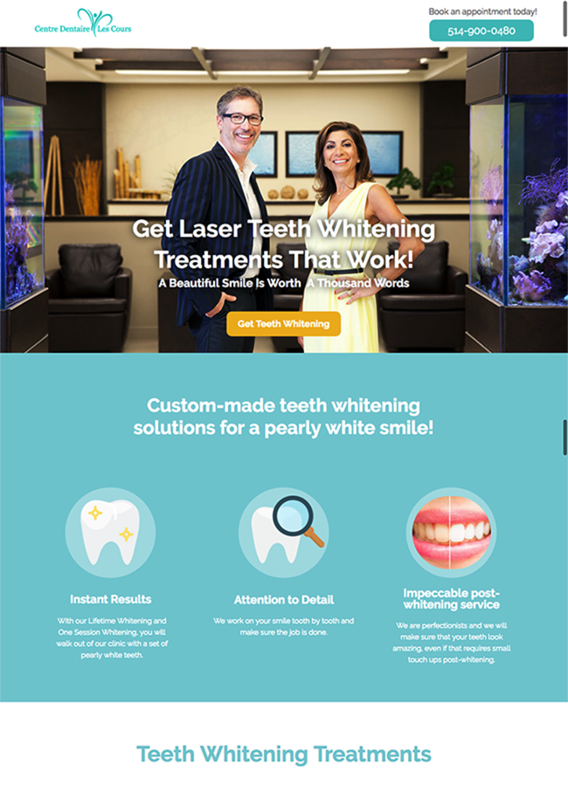 Stefano has created campaigns and dedicated landing pages for several of his client’s services: dental implants, wisdom teeth extraction, whitening, emergency services and more. 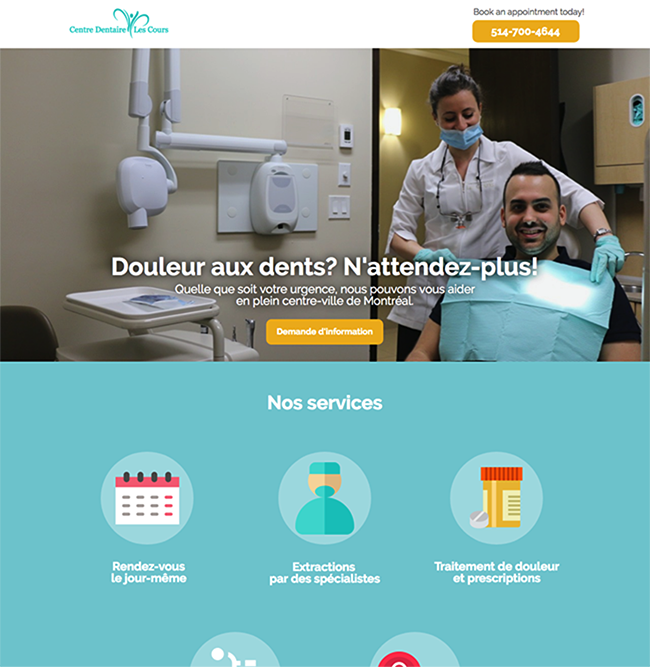 His highest-converting campaign landing page for Centre Dentaire Les Cours — for the emergency services page — converts at 12.37%. Drive more leads and revenue from PPC campaigns with dedicated landing pages. 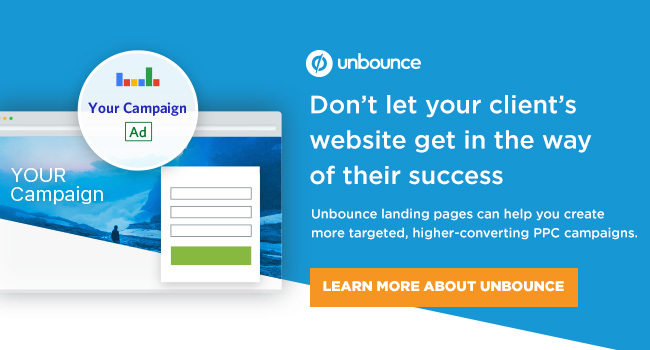 Try Unbounce for 30 days free today. As an added bonus, using dedicated landing pages makes A/B testing campaigns a breeze. This means that Stefano and his agency can continue to improve his client’s conversion rates month over month. There’s no better feeling than realizing your receptionist is too busy to handle the increase in phone calls and email inquiries. When you need to hire a second receptionist to keep up, you know you have a good problem on your hands! Pretty sweet if you ask me — so sweet it’s makin’ my tooth hurt.